Get the most from your Elekta solution. Elekta Care™ is our comprehensive services program designed to support you throughout your entire Elekta experience. Backed by a global support network, with unique expertise and vast experience supporting clinicians who treat cancer and brain disorders, we are dedicated to providing you with essential tools and training toward improved patient outcomes and business growth. Elekta Care encompasses all services we provide — including service and support, education and training and consultative services. This video is courtesy Sunshine Coast Hospital and Health Service (SCHHS). This video does not constitute endorsement by SCHHS. From the beginning, you'll have a single point of contact from an Elekta Care Project Manager who coordinates all implementation activities and offers prompt communication and support. Ensuring your system is set up correctly from the start, Elekta-certified, professional installers handle every aspect of setup, for a smooth, accurate and efficient installation. Our on-site application support and startup training prepare your staff to hit the ground running with new Elekta technology, to facilitate smooth workflows while minimizing risk of errors. Elekta provides comprehensive, full protection coverage. And, to help you continue to get the most out of your technology over its lifetime, Elekta offers extended coverage options beyond your system's warranty period. Elekta supports your technology investment with a team of experts, who provide technical and application support to ensure optimal system uptime. With a global network of 165 remote support specialists and more than 650 field service engineers, we are here to help you. Contact your support center. 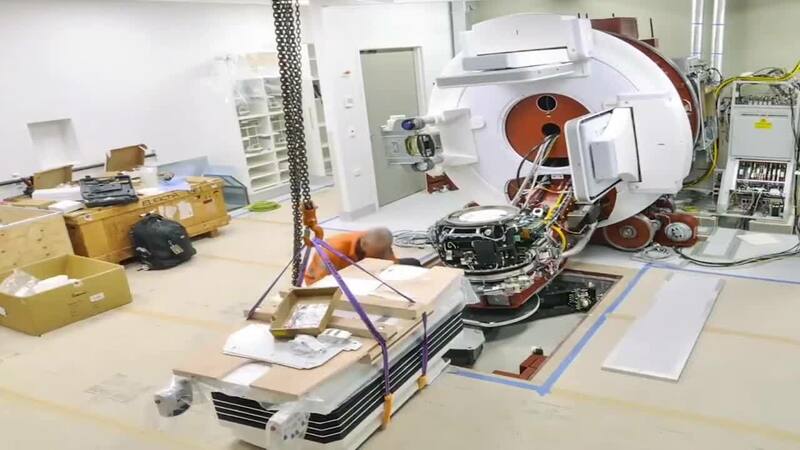 Over 80 percent of our global-installed base of linear accelerators is connected to Elekta IntelliMax, providing the capability for securely controlled remote access that enables proactive support and predictive maintenance. Elekta IntelliMax can help boost your bottom line through avoided downtime, first-time fix rate and reduction in parts consumed. Designed to enhance your skills and knowledge, Elekta's innovative learning programs are continually updated to help you and your clinic deliver the best care possible for your patients. Choose from an extensive, flexible range of e-learning, classroom and clinical learning events across Elekta's solutions portfolio to create a customized learning experience. Elekta's secure online customer portal brings the power of Elekta Care's dedicated support organization straight to your desktop. Our global Elekta Care Learning (ECL) currency enables you to secure Elekta courses, classes and on-site clinical training sessions conveniently online. Allocate the purchase of education and training across product lines with ease — no contract amendments or approvals required. Entitlement training — training that has been sold as part of the purchase of an Elekta product — is a requirement to ensure the safe and effective use of Elekta products and can't be exchanged for other Elekta Care Learning offerings. To help you continue to get the most out of your technology over its lifetime, Elekta offers extended coverage options beyond your system's warranty period. Elekta service agreement options help maximize clinical availability and utilization for all solutions in the Elekta portfolio — including Leksell Gamma Knife®, oncology solutions, brachytherapy, MOSAIQ®, and treatment planning. Because service agreements differ depending on the specific Elekta solution, we have developed tiers that represent various levels of coverage to better support your needs. If you have your own in-house support or prefer to pay for service on a parts-and-labor basis, a Silver level agreement provides a minimum level of coverage for reliable efficiency at competitive pricing. For most, the Gold tier offers the most appropriate level of coverage. And, for comprehensive coverage that includes benefits such as increased guaranteed uptimes and future-proof technology, the Platinum tier offers enhanced performance on key elements. Elekta Care Platinum level is designed to provide you with total confidence that your equipment will continue to perform at its optimum level. Platinum agreements provide comprehensive coverage that ensures your Elekta product remains current and your staff is educated to use it to its fullest capabilities with features such as technology refresh, unique components and annual training reviews. With Elekta Care Platinum we guarantee technical specification protection and maximize your Elekta system's clinical capabilities, to protect and enhance your technology investment. Elekta Care Platinum includes Elekta Care Learning Credits that can be used for any Elekta Care Learning opportunity. Your comprehensive Platinum coverage includes instant access to system information through MOSAIQ® Oncology Analytics, to help you more efficiently plan daily activities and resource allocations. Gold level agreements offer more advanced operational benefits - such as guaranteed uptime, software upgrades, spare parts and corrective maintenance - to allow more sophisticated lifecycle planning. This will enhance your system's operational efficiency, enable predictable costs and help safeguard the clinical performance of your Elekta solution. Depending on the product covered, Silver level agreements may include planned maintenance, remote services, access to our Elekta Care Community customer portal, software updates, and other services. This will allow you to maintain a reliable system, protect your investment and minimize patient risk.